When you think of Vitamin C, you might think of citrus fruits and what to take when you have a cold. But did you know that your skin needs Vitamin C too? It’s one of the most powerful free radical fighters in existence, and a key component of collagen, which keeps your skin supple and young-looking. You need Vitamin C in your diet, but the best way to make sure that your skin has what it needs is to apply it directly to your face. Vitamin C – like all vitamins – is subject to oxidation and deterioration when exposed to the air. For that reason, applying a Vitamin C serum – one specially formulated to prevent oxidation – allows your skin to get the full benefit of the restorative power of Vitamin C. Some people think that because you incorporate serums in your skincare routine, then you can’t add in oils. Of course you can! If you want to add more moisture to your skin after using a serum, you can buy cbda oil or lavender oil (any oil you prefer) and add a couple of drops in your moisturiser. This way, you are getting the moisture you need and are preventing the dry air from taking away the moisture that will leave you feeling dry. That’s not what you want, especially not in the winter. 1 How Does Vitamin C Protect Your Skin? 2 What Ingredients Should You Look for in a Vitamin C Serum? 3 What is the Best Form of Vitamin C for Your Skin? 4 Is Oil-Based or Water-Based Vitamin C Most Effective? 5 How Much Vitamin C Should a Serum Contain? 6 What Criteria Should You Use to Evaluate Vitamin C Serum? How Does Vitamin C Protect Your Skin? Vitamin C is essential to human health. Our bodies are unable to make it and so we must take it in as part of our diets. While the Vitamin C in food does provide some protection to our skin, there is evidence to suggest that topical application is preferable. It protects the skin from UV damage as a result of sun exposure. Note that you should still wear sunscreen, but Vitamin C can help prevent the formation of free radicals and overall reduce UV damage. It reduces the production of melanin, the chemical that causes the skin to darken and spots to form. These are significant benefits and they underscore the importance of Vitamin C to healthy, young-looking skin. What Ingredients Should You Look for in a Vitamin C Serum? There are other forms, but these are the most common. They are listed in their order of effectiveness, so products that have ascorbic acid and THDA are probably your best bet. However, you do need to be aware that ascorbic acid may irritate sensitive skin. In its natural form, it is unstable and to be effective in a skin serum, it must be stabilized. The tricky thing about evaluating and comparing Vitamin C serums is that the label will not say whether the ascorbic acid is stabilized. To find out, you’ll have to read the product insert or look on the manufacturer’s website. Of course, many Vitamin C serums on the market contain ingredients in addition to Vitamin C. Vitamin E oil is a common choice because it works together with Vitamin C to repair the skin. Some face serums contain essential oils and fragrances as well, but the key ingredient to look for is Vitamin C.
What is the Best Form of Vitamin C for Your Skin? One of the biggest questions that arises when people look for Vitamin C serum is which form is best for their skin. Some facial serums are specifically formulated for sensitive skin or acne-prone skin, but it’s important for you to know which ones to look for. Many products contain ascorbic acid, but if you have sensitive or acne prone skin, you should choose one of the other options – or buy an ascorbic acid product with a very low concentration – until you are sure how your skin will react to it. Is Oil-Based or Water-Based Vitamin C Most Effective? The next thing to consider is the issue of whether oil-based or water-based Vitamin C facial serum is preferable to use. Both are options – so what’s the difference and which one should you choose? Ascorbic acid is water-soluble. That means that it absorbs quickly, but it also means that it can’t be absorbed by fat molecules and it is highly susceptible to oxidation. By contrast, ascorbyl palmitate is oil-soluble. That makes it long-lasting and moisturizing, and also less susceptible to oxidation. The forms of Vitamin C that are oil-soluble are THDA, sodium ascorbyl palmitate, and ascorbyl palmitate. The forms of Vitamin C that are water-soluble are ascorbic acid and magnesium ascorbyl phosphate. How Much Vitamin C Should a Serum Contain? The final consideration to keep in mind before you choose a Vitamin C serum to try is how much Vitamin C the formula you choose should contain. 2. Too much Vitamin C can irritate your skin. When you look at the products available, you’ll notice that the concentration of Vitamin C ranges from about 10% on the low end to 20% on the high end. Anything higher than 20% would overcome your body’s ability to absorb Vitamin C and might also damage your skin. If you have sensitive skin, you may want to start with a low concentration and see how your skin reacts before trying a higher concentration. What Criteria Should You Use to Evaluate Vitamin C Serum? Now that you understand the most common ingredients and their properties, let’s talk about some of the specific things you should look for when evaluating a Vitamin C skin product. 1. The first and most important thing is the form of Vitamin C the serum contains. Refer to the information above about which form of Vitamin C is best for your skin type and choose accordingly. 2. The second thing to consider is the additional ingredients the serum contains. You should always be on the lookout for ingredients that you are allergic or sensitive to. 3. Third, consider the concentration of Vitamin C in the serum in question. If you have never used Vitamin C serum before and are unsure how your skin will react to it, your best bet is to start at a 10% solution with one of the forms that won’t irritate skin and see how your body reacts to it. You can always up the concentration at a later date. 4. The fourth thing to consider is the bottle or container the serum comes in. As mentioned previously, Vitamin C is highly susceptible to oxidative damage. If it comes into contact with sunlight or air, it may be ruined and do more harm to your skin than good. For that reason, you should look for one of two things. The first option is serum that comes in a dark glass bottle. Clear glass is not good because it admits light. The second option is to buy serum in individual-use capsules. This ensures that each dose of serum is protected and has its full potency when you use it. 5. The fifth consideration is a personal one – the fragrance of the serum you buy. Some serums have added fragrances. Your choice will depend on your personal preference. It is important to keep in mind that any fragrance you put on your face will be very close to your nose, so it’s important to pick a serum with a scent you find pleasant. 6. Finally, you should consider the price of the serum you select. Some are far more affordable than others. When you compare, make sure to look at the number of uses you can get from the serum you’re considering and figure out a per-dose cost to make an accurate comparison. You may want to consider other elements, too, including the brand name of the serum you buy, the recommendation of a dermatologist if you have one, and reviews and comments from online users and friends. Now it’s time to look at some of the best C serums for your face that are available on the market and compare them. The product you choose will depend on which criteria are most important to you. You should decide which skin issue is most important to you so that you can keep it in mind as you look at our comparisons. The first product on our list is a very good choice for sensitive and normal skin as well as for women who are pregnant. It tightens and firms the skin with a combination of sodium ascorbate, essential oils, and plant extracts. Our next product, Mad Hippie Vitamin C Serum, is what we recommend for sun-damaged skin and for overall skin brightening. This formula contains SAP, a particularly gentle form of Vitamin C which is readily bioavailable. Here, it’s combined with Vitamin E, hyaluronic acid, ferulic acid, clary sage, and grapefruit extract. If you’re looking for a powerful serum to smooth your skin and make it glow, we like Mario Badescu Vitamin C Serum. This formula contains ascorbic acid, collagen, cucumber, ginseng, aloe, and lavender extract. We recommend this for people who want a serum to exfoliate dead skin and brighten their complexions. Paula’s Choice is a respected skin care brand, and if you’re looking for an anti-aging serum that can help reduce the appearance of wrinkles, we recommend Paula’s Choice RESIST C15 Super Booster. 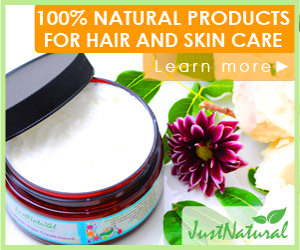 This formula contains ascorbic acid, ferulic acid, glycerin, and panthenol. It’s also good for smoothing out skin tone, and can be used alone or in combination with your favorite moisturizer. If you want a top-of-the-line product that will reduce wrinkles, smooth out your skin tone, and provide you with 72-hour protection from UV damage, then we recommend SkinCeuticals C E Ferulic. This blend of 15% ascorbic acid, Vitamin E, and ferulic acid provides excellent protection and rejuvenating power to normal, sensitive, and dry skin. Finally, for people who need a very strong serum with a high concentration of ascorbic acid, we recommend NuFountain C20. It has a 20% concentration of ascorbic acid in a combination of water and glycerin, and it has a clear, water-like consistency. It goes on easily and provides excellent brightening and exfoliation. This is a great choice for people with PIH, but not for people with sensitive or acne-prone skin. If you want to improve the feeling and appearance of your skin, adding a Vitamin C serum to your daily skin-care regimen is a good way to do it. The key is to understand your skin type and how it is likely to react to the various formulations of Vitamin C available, and then make the best choice based on your research. When in doubt, start with a low concentration to see how your skin reacts. Remember, you can always up the concentration the next time you buy!